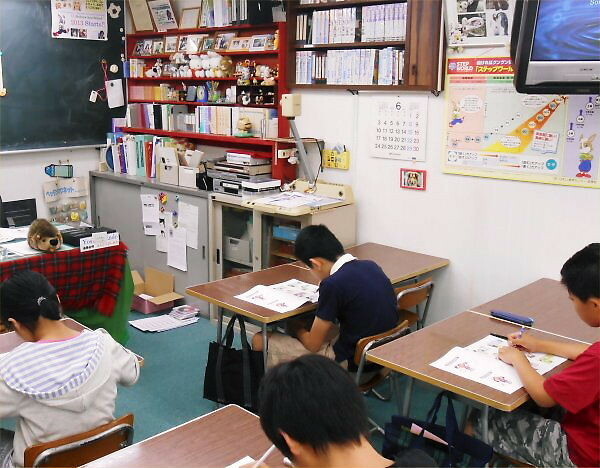 “#1 Junior Eiken” was held on Saturday, June 22nd in LL Shihoya Arai School. 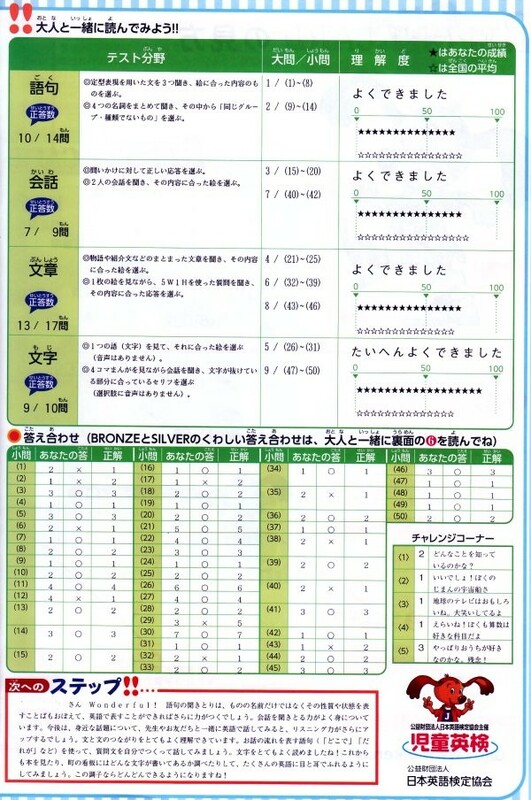 This picture shows one scene of three grades: BRONZE, SILVER and GOLD. GOLD, the highest level of it includes several questions about “reading comprehension of words or phrases”, but the others have nothing of it. 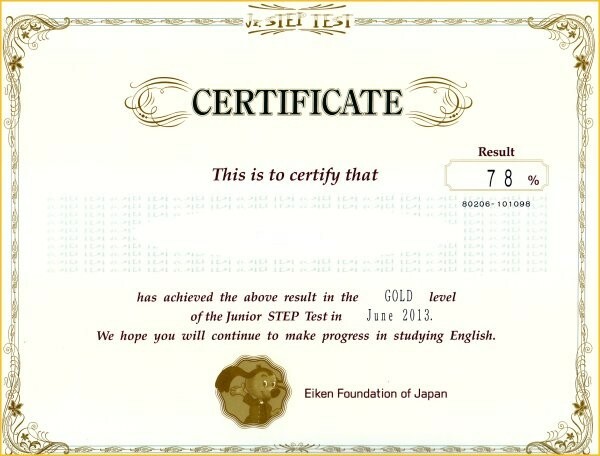 The examinee is checked about almost only listening skills in this Junior Eiken. 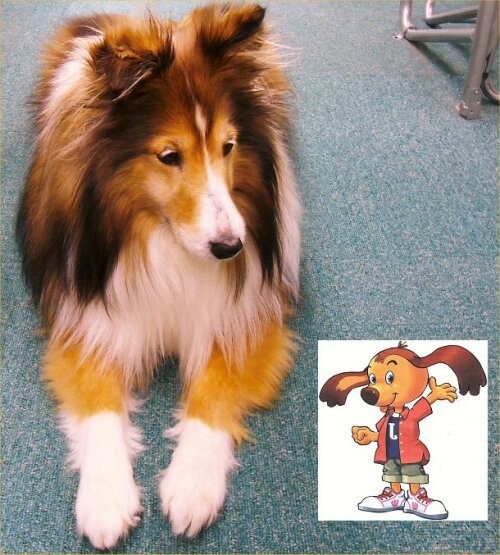 BTW, all examinees were very fond of Yoshy’s pet-dog, Erie! A good-luck mascot, Juni-alpha and Erie also joined the. Yoshy believes that Listening Command is so to speak a foundation of “4 Skills”. 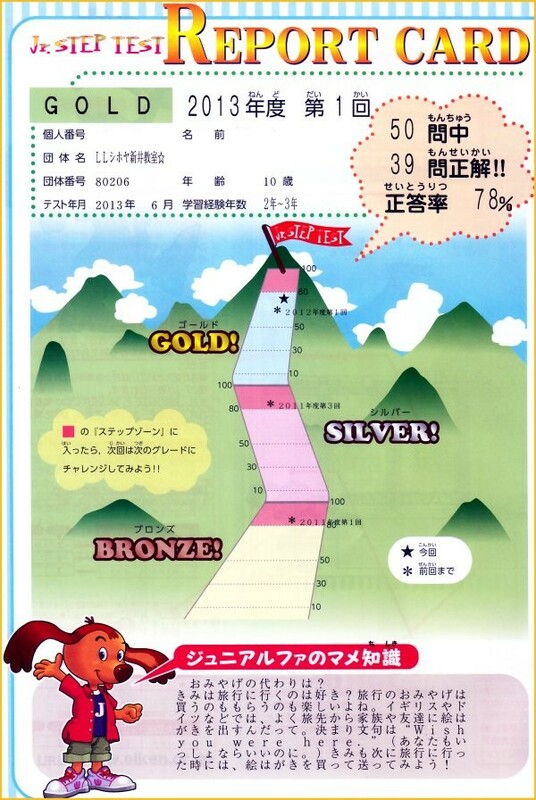 Most students of LL Shihoya Arai School is getting better in their Report Card like Erie (a tentative name) who took GOLD, asking Yoshy, “Didn’t my Report Card arrive yet?” … They were looking forward to their results. When their commands of practical English grow up to “the 3rd grade of Eiken”, Yoshy has two kinds of students; ones are trying to build up their competence of “Speaking, Reading and Writing” and another ones who are not making their efforts anymore on their remaining foundation. Always have an eye on your achievement that you could reach 80% of Yoshy’s homework; enjoy keeping learning with patience.